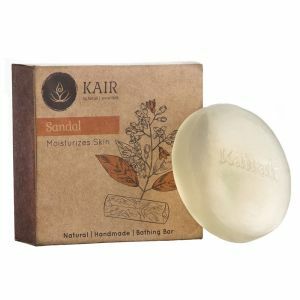 Kairkare Plus is a unique & multiple purposes Ayurvedic pain relief oil with highly effective anti-inflammatory and pain-relieving properties. This Ayurvedic herbal oil is very effective in the treatment of back pains, body pains, muscular aches, frozen shoulders, numbness, arthritis, spondylitis and sciatica pains. It penetrates deep into the affected areas and helps to relax the body by improving blood circulation & remove the toxins. 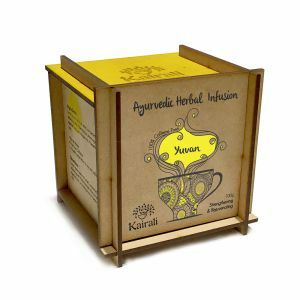 Kairkare Plus, an effective Ayurvedic herbal pain relief oil, is a researched Ayurvedic formulation with various potent herbs from Kairali. 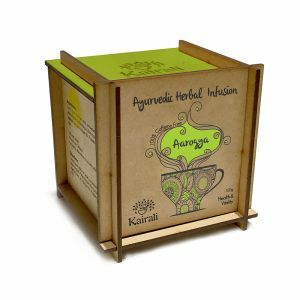 It is a 100% Ayurvedic oil and a unique blend of selective herbs known for its excellent anti-inflammatory and analgesic effect. 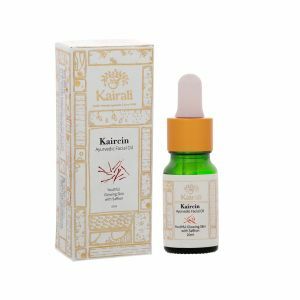 Kairkare Plus, Ayurvedic pain relief oil, has powerful pain-relieving properties that provide long term relief from back pains, body pains, muscular aches, frozen shoulders, numbness, arthritis, spondylitis,and sciatica pains. It is excellent oil for a therapeutic massage that absorbs deep into the affected area, removes the toxins, relieves inflammation & numbness, improves blood circulation, relaxes the muscle and provides a soothing effect in various body aches. The regular massages with this oil help to strengthen the bone tissues, the skeletal and the neuromuscular systems and improve the mobility of the joints & muscles. Bridelia montana - It has incredible analgesic and anti-inflammatory properties that help in relieving pain from the joints and improves blood circulation. Garlic (Allium sativum): – It is beneficial for bone health, relieves pain and inflammation in osteoarthritis and rheumatoid arthritis conditions. Drumstick (Moringa oleifera) – It has potent anti-inflammatory and analgesic properties that are very effective for joint pain and muscle ache. Karpasasthi (Gossypium herbaceum): - It helps to relieve nerve pain, reduces inflammation and soothe muscles. Effective in frozen shoulders, arthritis, spondylitis and sciatica pains. Warm 15ml of oil and gently massage over painful area. Retain for 30 mins and wash off with lukewarm water. Use regularly for relief.